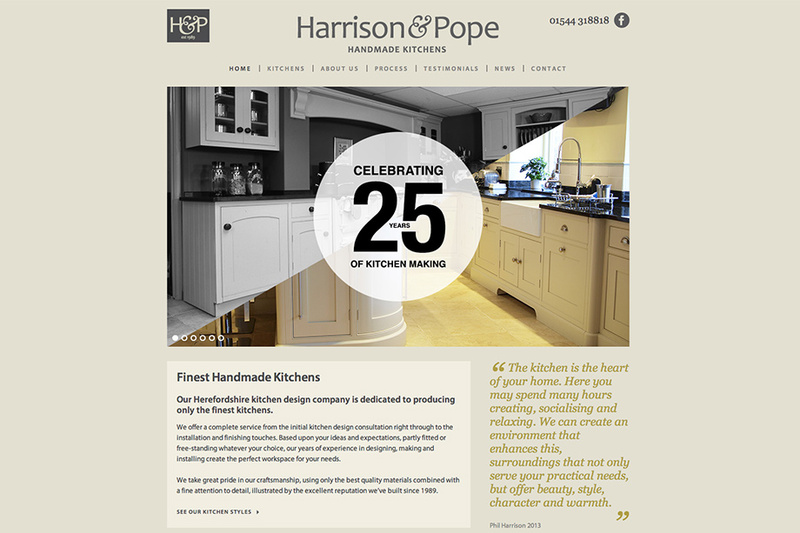 Logo and website design for Herefordshire kitchen designers, Harrison & Pope. The brief was to update the website to showcase the high-end craftsmanship of the company’s kitchen designs. They also required a new logo that could be used across multiple application including an enamel badge for the cabinets. The solution was a website that borrowed the colours of a country Aga stove and a new marque that merged the H and P with a stylised ampersand.